Taraval - No Coast EP. Vinyl EP. Bleep. Taraval follows a couple of releases on Four Tet’s Text with a new EP for Hypercolour. Born Ryan Smith, he offers four busy techno cuts on No Coast. The opening title track puts the listener right in the thick of it. An agitated groove built from kick drums and wailing sirens careers onwards across the cut’s near-eight-minutes, augmented by some Drexciya-indebted modular work. ‘Stan’s Loon’ features a similarly clattering drum take topped with zany synths. 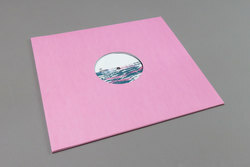 This EP’s helter-skelter feel continues on the B-side - ‘Kima Jima’ is a vaguely psychedelic cut that spins a three-note ostinato out to disorientating effect, while closer ‘Topaz’s Way’ features more of the unnerving, Detroit-indebted synth stabs of the eponymous track.